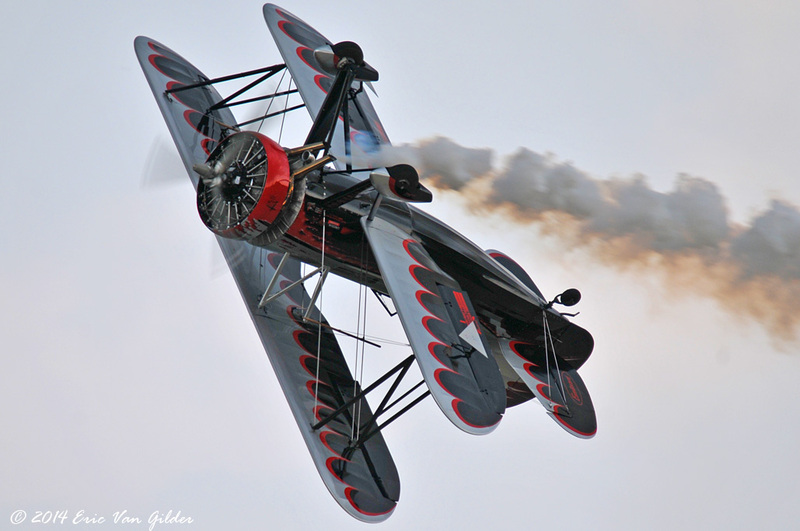 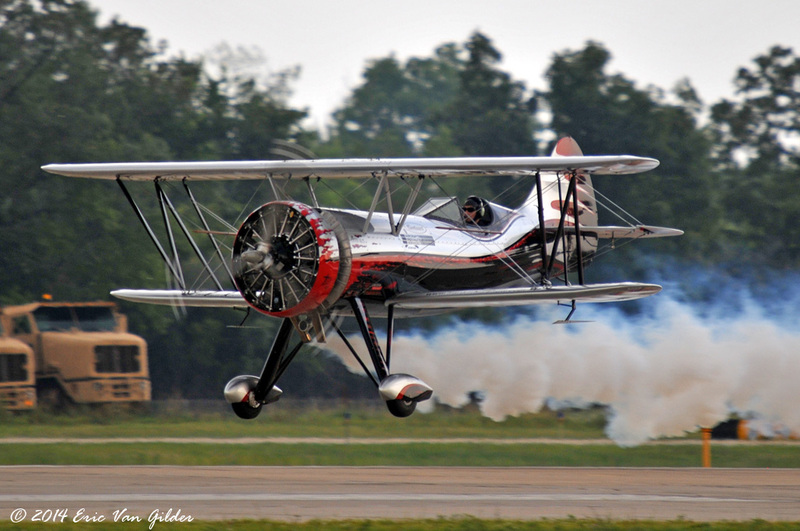 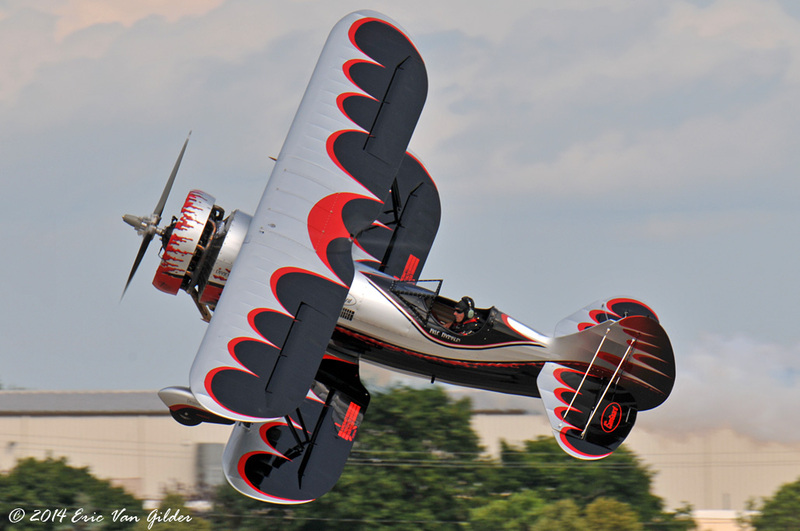 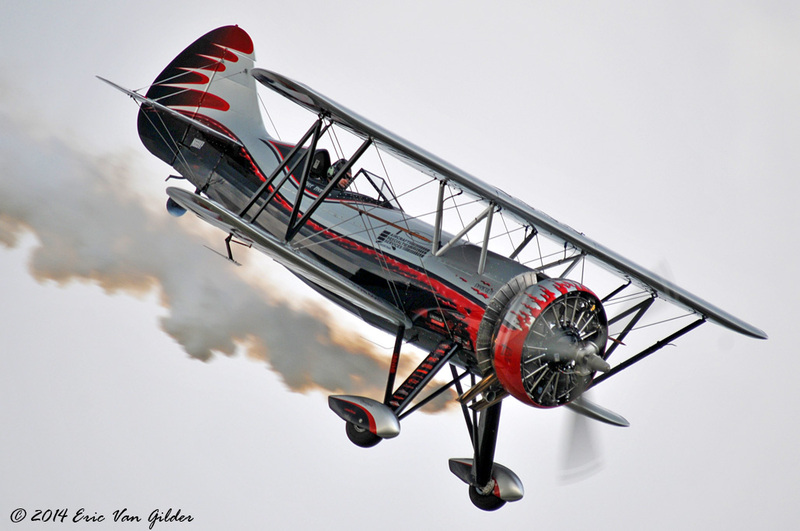 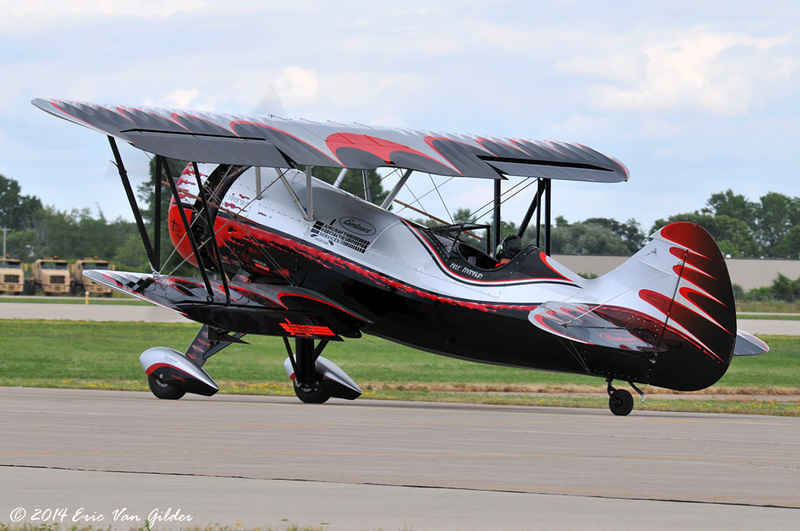 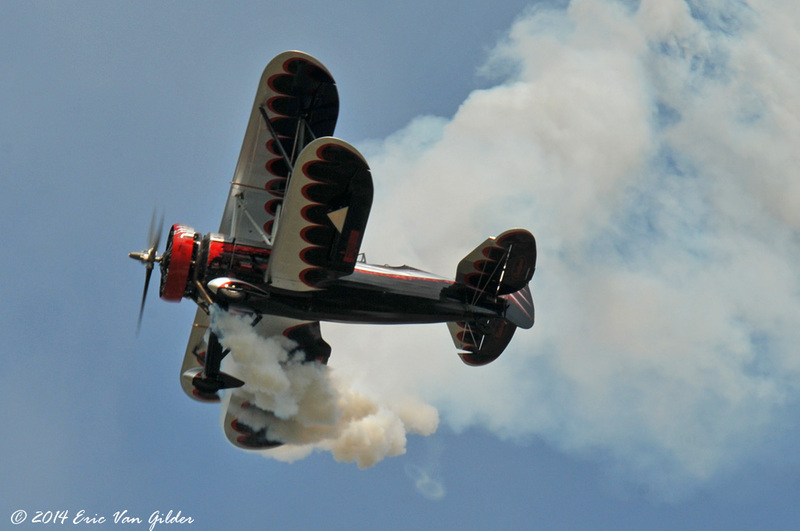 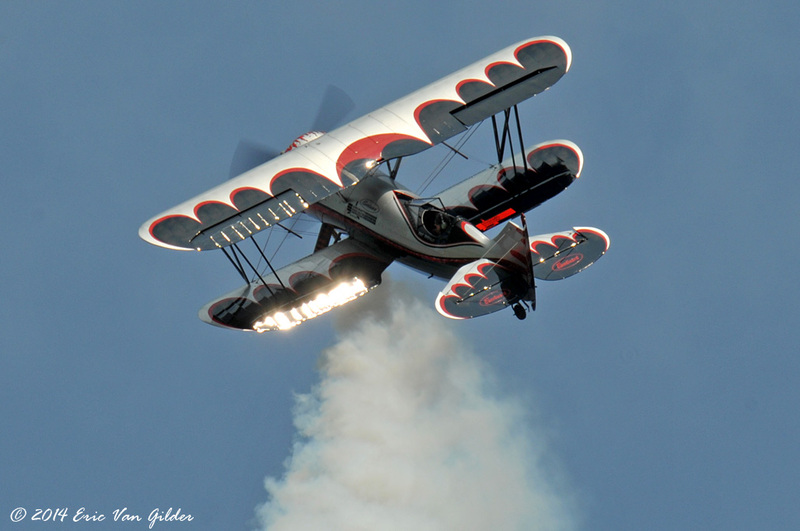 Van Gilder Aviation Photography, EAA Airventure 2014- Kyle Franklin in "Dracula"
Kyle Franklin has been thrilling audiences for a number of years with different airshow aircraft and routines. 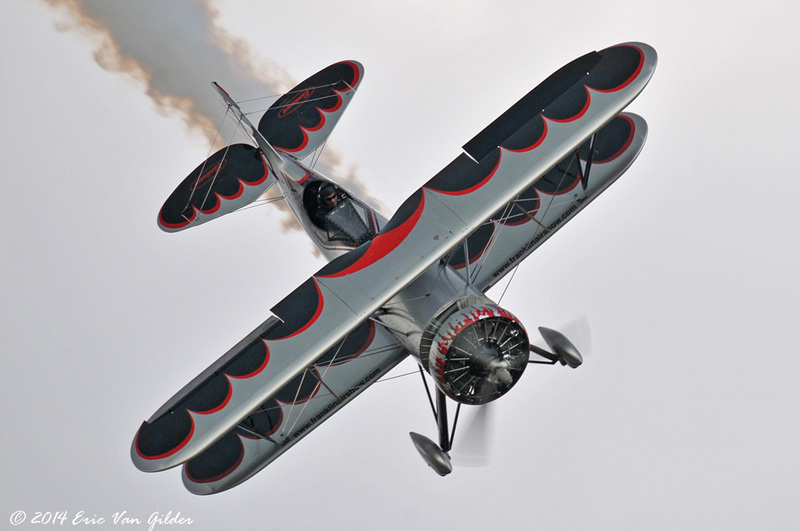 From the Waco mystery ship to the character Ben Whabnoski, Kyle has been an act to watch. 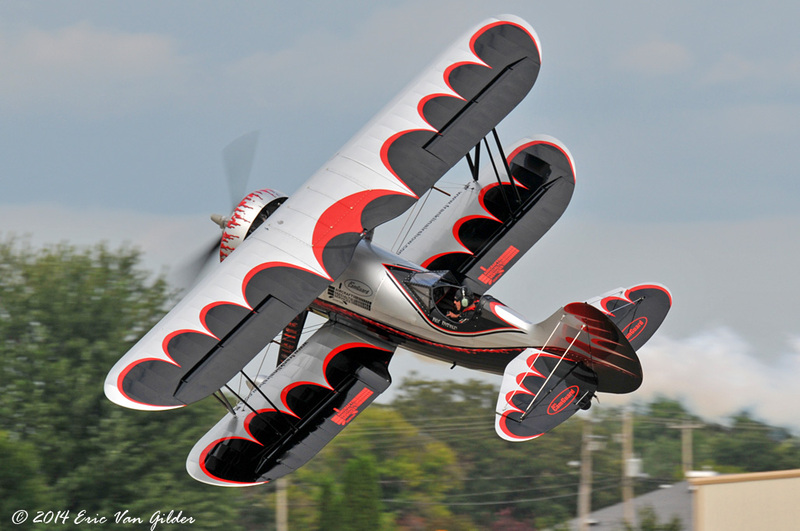 His latest airplane, "Dracula" has the sound of a heavy engine with the looks of a sleek 1930s biplane. 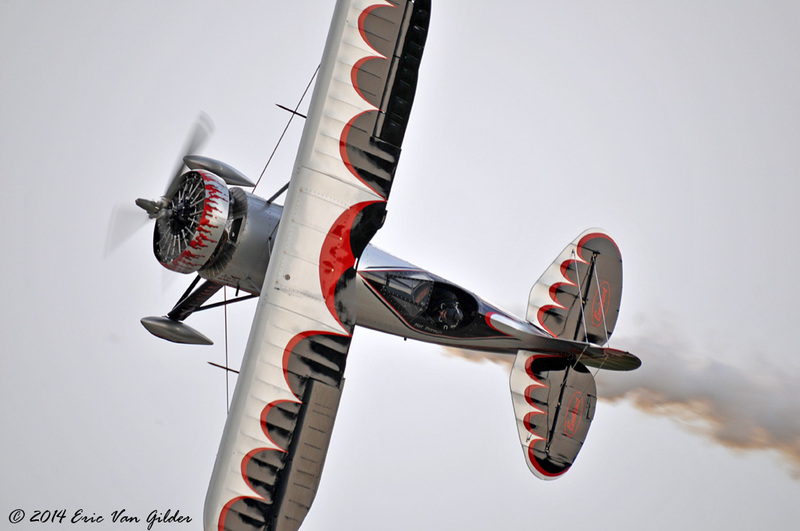 His smooth flying through aerobatic routines seems effortless. 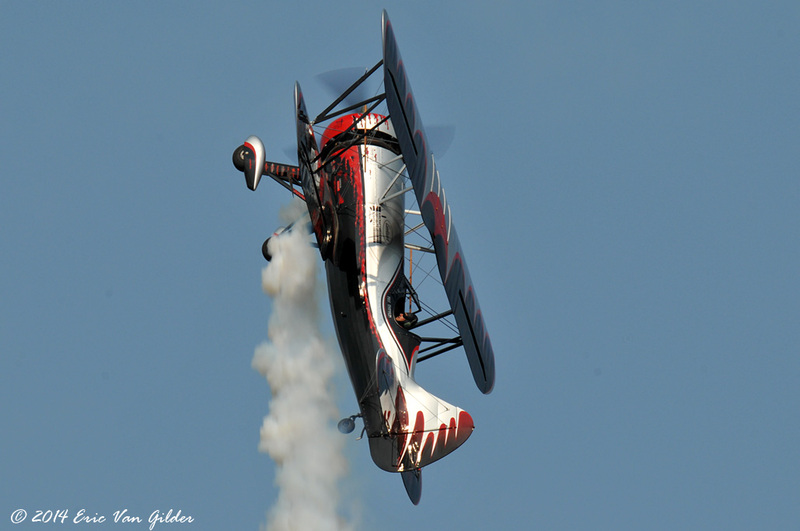 It's always a treat to see Kyle fly.